Do you remember the summer of 2005? 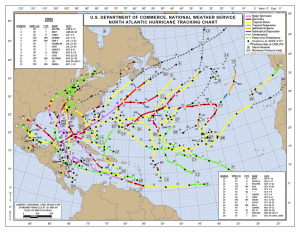 That was an incredibly active tropical year, with 27 named storms, including Katrina and Rita. The rain that the Southeast received from those storms as well as the regular summer thunderstorms helped keep the region out of drought conditions that year. 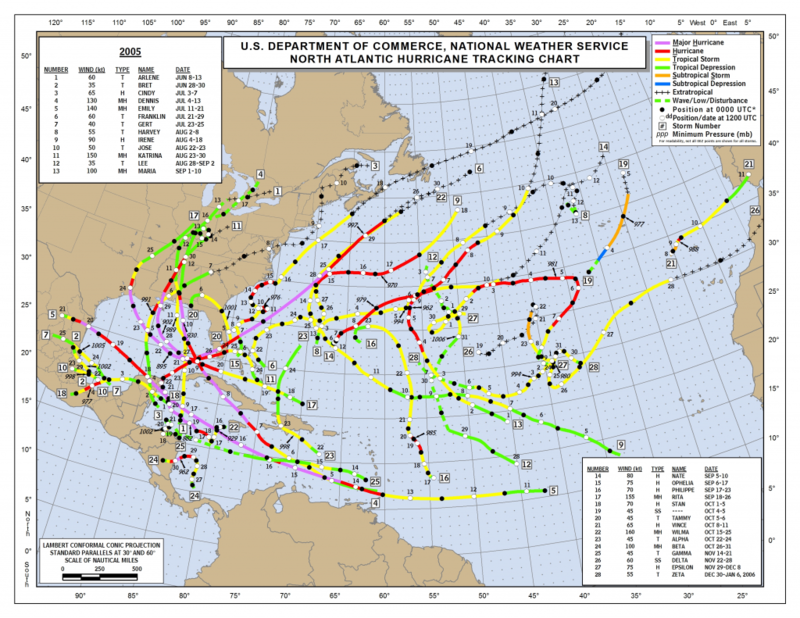 Here’s a NOAA summary of that year. 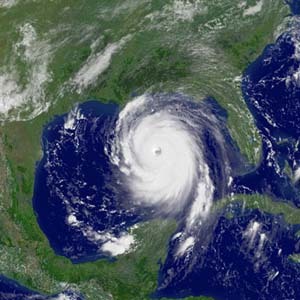 Now it’s ten years later and you might be wondering how our hurricane forecast skill has changed over those years. 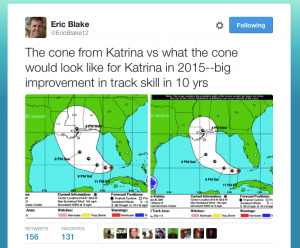 Dr. Marshall Shepherd, UGA professor, wrote about the changes that have occurred in those forecasts in an article at Forbes magazine here. 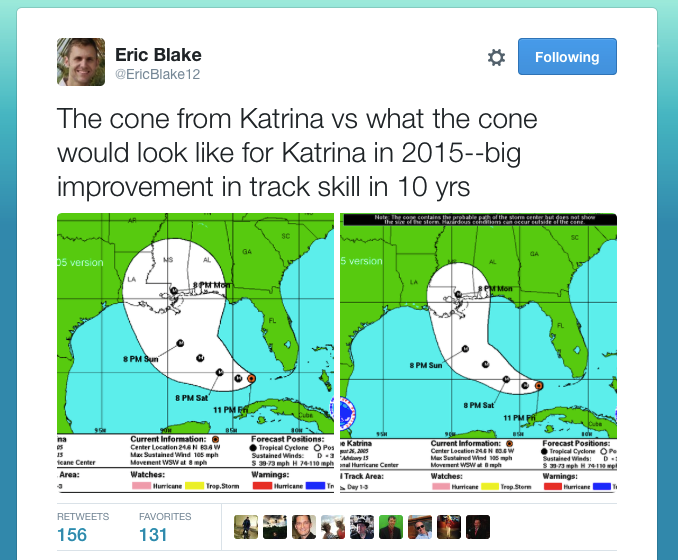 He shows that the forecast has improved quite a bit over time, with a tighter forecast “cone” than was available in 2005. The smaller cone indicates more certainty in the path of the storm, and is important because it allows emergency managers more knowledge about what coastal areas might have to be evacuated (estimated to cost roughly $1 million for every mile of coastline that needs to be warned). Chris Robbins also writes in iWeatherNet about the number of lives that have been saved through improved forecasts at http://www.iweathernet.com/tropical/lives-saved-by-hurricane-forecasting-advancements. He shows that even though damage from these storms has risen significantly at the same time that the population along the coast has also grown, the death-to-damage ratio has fallen dramatically over the last century due to improvements in forecasting as well as warning capability.